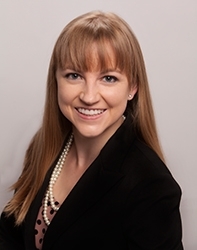 Kristin is an Associate Attorney at Caietti Law Group, APC. She joined the firm after completing a Civil Rights Fellowship at the California Department of Fair Employment and Housing, where she investigated, mediated, and litigated complaints of housing and employment discrimination. Kristin has experience at all stages of litigation, representing employees, employers, and state agencies. University of California, Davis- King Hall School of Law, 2013, J.D.